CoolSculpting in Los Gatos, CA l Nonsurgical fat elimination that really works! The CoolSculpting procedure is a safe and effective way to eliminate stubborn fat without surgery or downtime. We offer the latest in Coolsculpting Technology. Our equipment and hand pieces are the latest version. When you schedule your Coolsculpting procedure, you can rest assured that you will receive personlized treatment before, during and after the treatment. If you exercise and diet, but still have that bit of fat that you just can't lose, Coolsculpting fat reduction treatment is the only FDA-cleared procedure that uses controlled cooling to safely target and elliminate double chin, love handles, fat from arms, belly fat and more. Look and feel great from every angle with CoolSculpting where the results are proven, noticeable, and lasting. Freeze away fat? CoolSculpting technology delivers controlled cooling to safely, gently and effectively target fat cells that are underneath your skin. Since Fat cells freeze at higher temperatures than surrounding tissues, the treated fat cells are frozen or crystallized , and then die. Over time, your body naturally processes the fat and eliminates these dead cells, leaving a more smaller, trimmer you. Call to schedule your free consultation and during your appointment Dr. Vaghar will develop a customized CoolSculpting treatment plan that is customized and will address your problem areas. 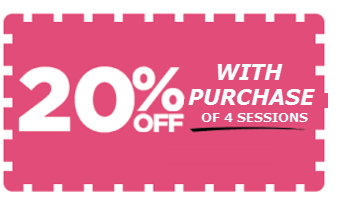 You will have the option of further enhancing your results with added sessions. We tailer your treatment plan to your body, budget and goals. We treat the targeted area(s) by positioning the device on your body, and then the controlled cooling is applied. It’s easy to relax, sit back, and say goodbye to stubborn fat. During your procedure, you may choose to take a nap, read email or a book. You can typically return to work and normal activies immediately because the CoolSculpting fat freezing procedure is completely non-surgical. In the months and weeks after your procedure, your body naturally processes the fat and eliminates these dead cells. The cells are gone for good once the treated. Are you ready to love your body from every angle? Set up your consultation today and see how quickly you can see the body that you want and the long-term results in those areas that have resisted all efforts through diet and exercise.